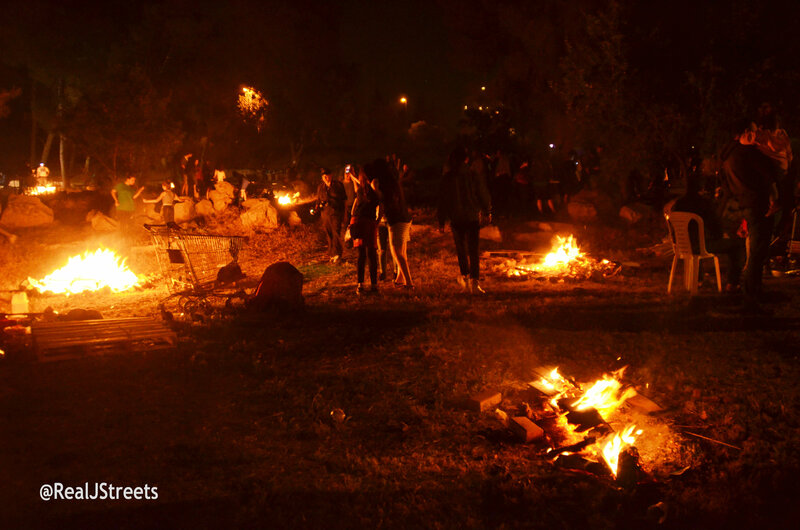 Lag B’Omer in Jerusalem, Israel, is not my favorite holiday. 1. 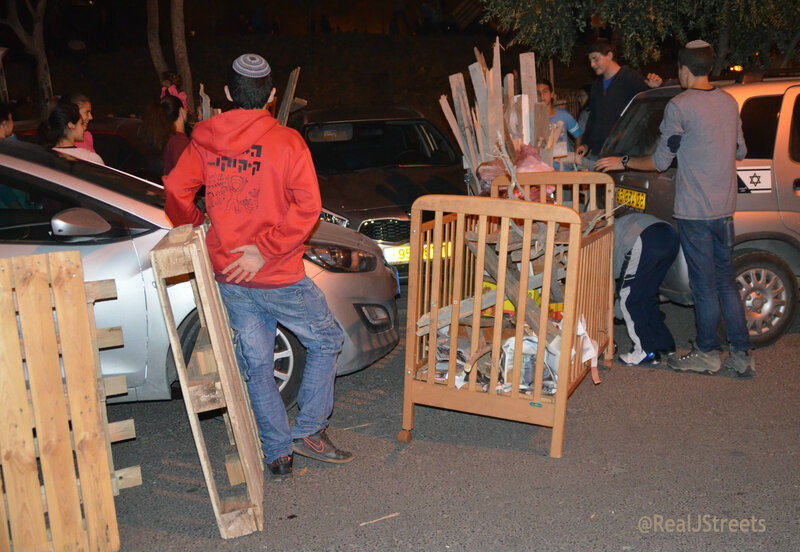 Wood of all kinds is collected and burned, but a baby crib? 2. One fire shows why wooden pallets are popular. glowed like the many fires in park below. 4. 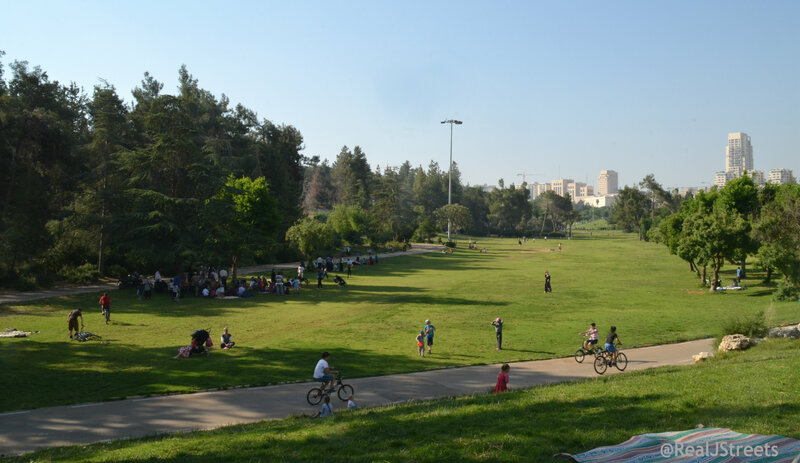 There were many, many fires in that park. 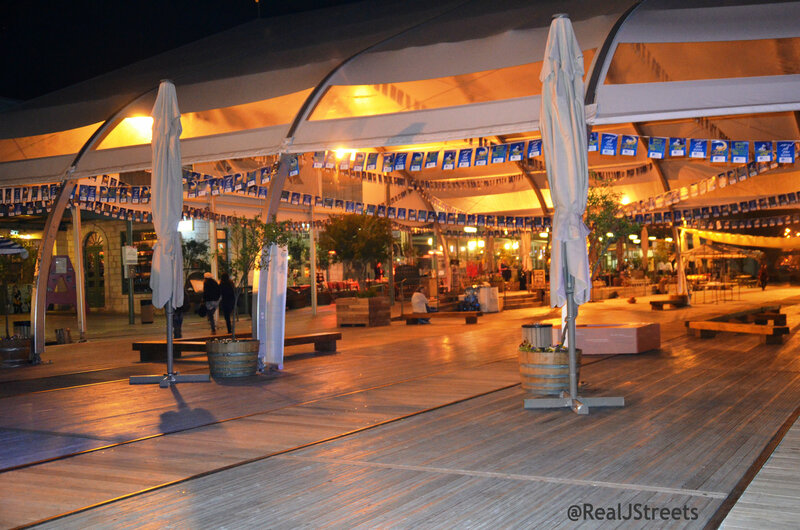 on Lag B’Omer night as most of it was closed. children needed something to do. always favorites of Jerusalem families. Gan Sacher, Sacher Park, looked big, green and beautiful. 7. 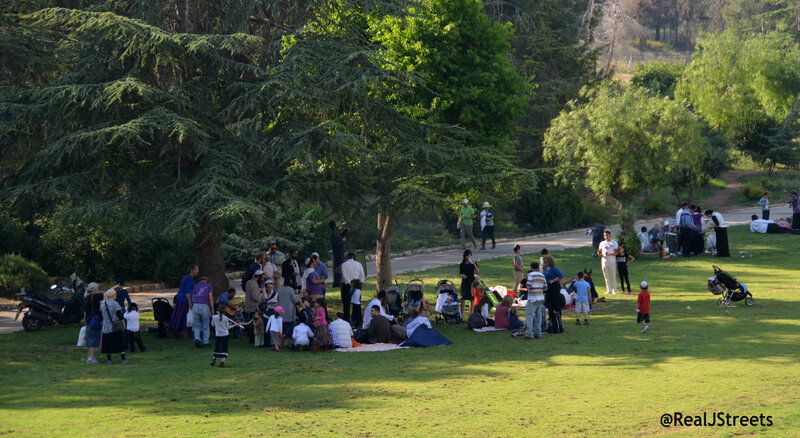 Musicians under a tree attracted an afternoon crowd. but I had to head home for dinner. yet people would move them and drive towards Gan Sacher. 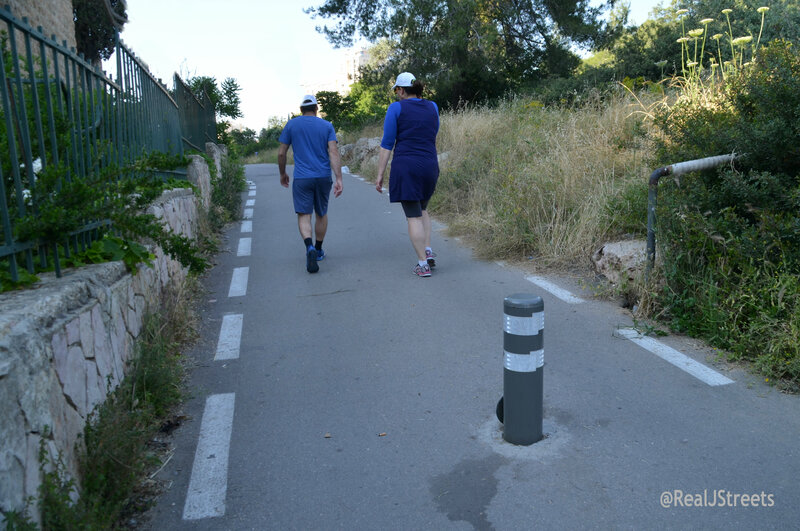 Now one simple bollard does the job. I saw a man in an underpass taking advantage of the echo. 9. 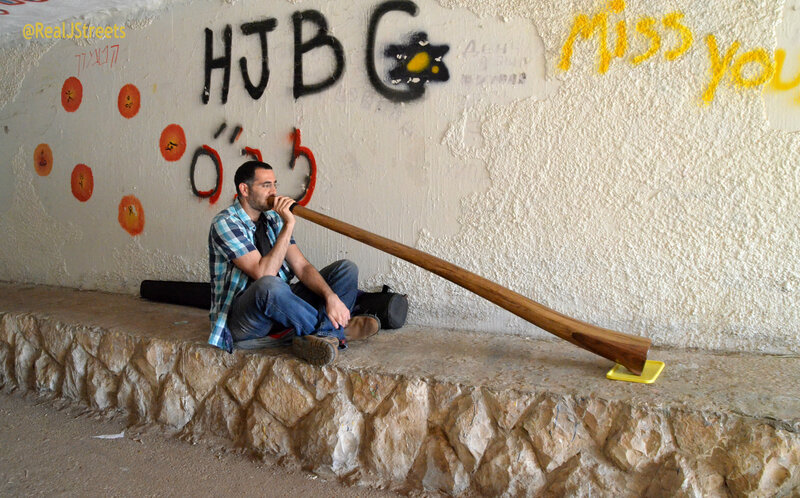 He was playing an Israeli didgeridoo. its sound has been improved using Israeli technology. 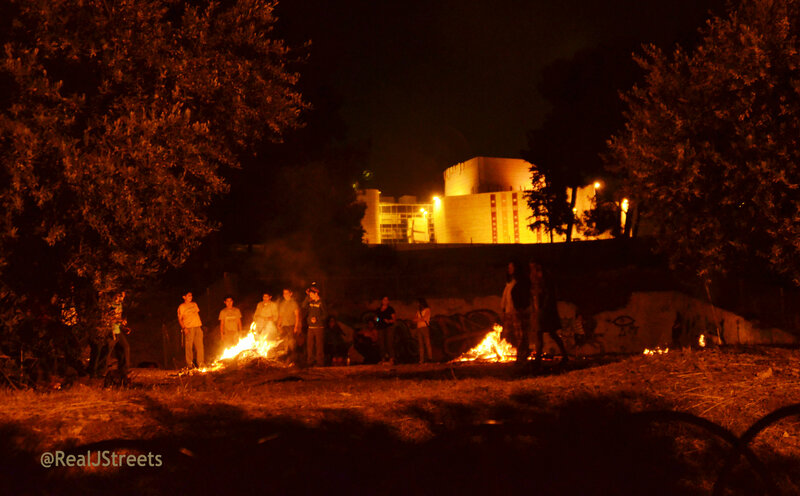 around a campfire at night with singing and dancing. 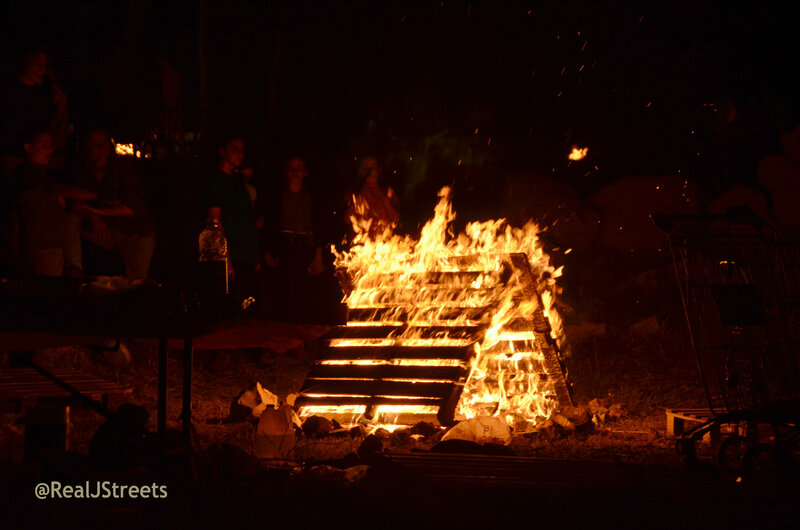 campfires, music, singing and dancing! on the Jerusalem, Israel streets!